The Triple Flip card is one of the new dies from Spellbinders and it was launched at the CHA shows in 2015. It is slightly different from the norm as it only cuts on three sides and so gives you an unusual look to your creations. Things move on all the time ... old dies are retired from the shops and websites, and new ones take their place. This new die is sure to spark your imagination as you think of other ways to make it work for you. 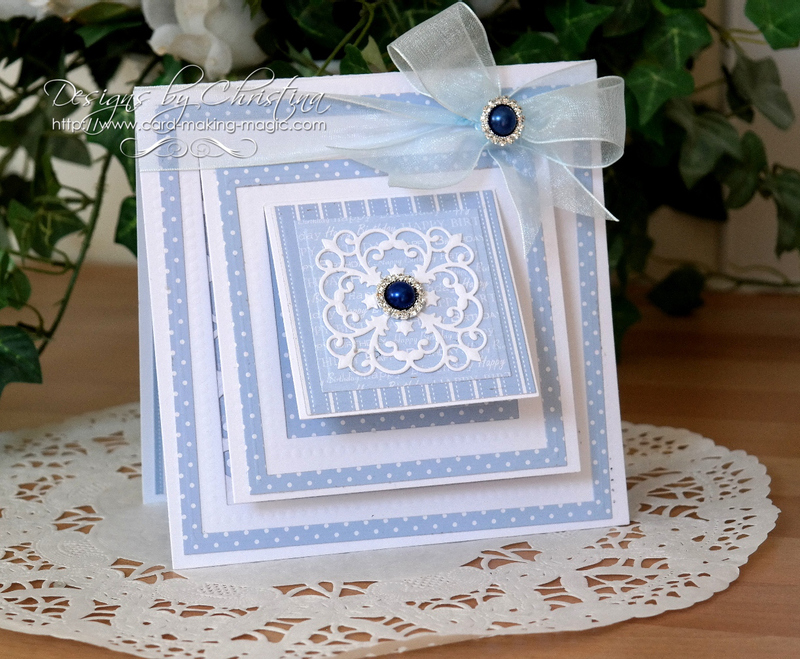 This is just one but with a change of orientation, other colors and some fancy embellishments this card can look completely different. I know it is sad when a much loved die is discontinued but some of the new designs are so exciting and the cards that they can produce will leave you stunned. The older ones will stay in your collection and will give you excellent service for years. And it is always good to try out new things and that way the interest in this lovely hobby stays fresh. But you need to look at the dies you want to purchase from a different angle. They are a considered purchase and so you need to choose dies that work with each other and build on the core. And what better way to find out how to use a new concept than to watch a short video that will show you the way.